There seem to be a lot of angry talk about various risk management certifications on the web lately. Most such comments are coming from people who are very ill-informed about how certification, any certification, works in general. As a creater of 2 national risk management certification programs that have been hugely successful in Russia, here are my 5 cents. there is limited or no quality control or oversight in place. 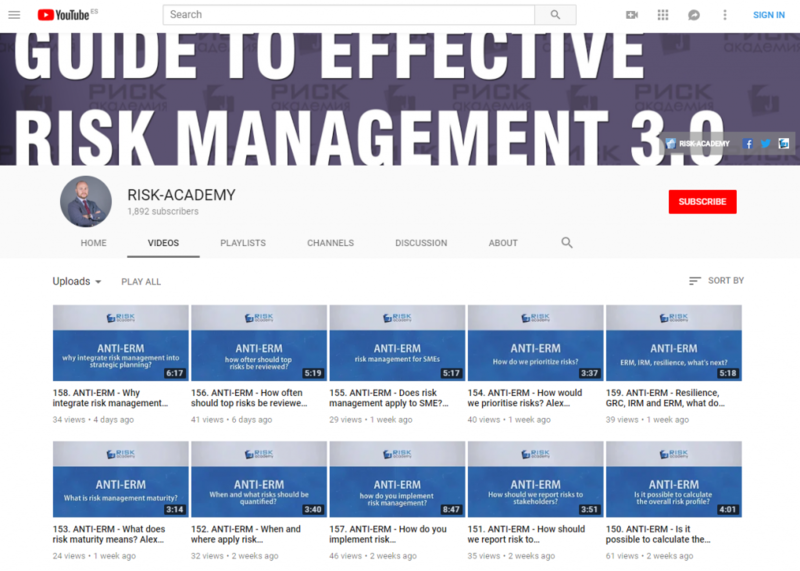 Below is an example of the certification program developed by RISK-ACADEMY — a Russian leader in risk management training, Global Institute for Risk Management Standards and the best risk managers from Russia and the CIS. The program is aligned with the international risk management standards ISO31000:2009 principles and shows numerous examples of how COSO:ERM 2004 is flawed in almost all regards.